At this morning’s One Planet Market the recycling display caught my eye. 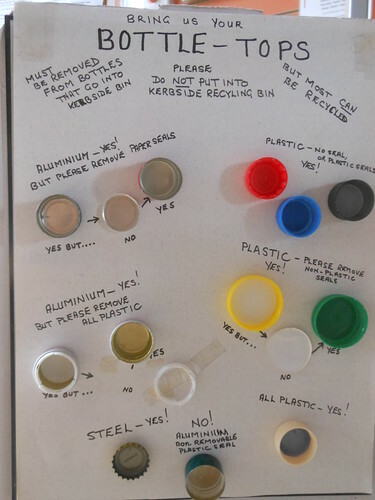 It is possible to recycle lids from milk and beverage bottles, wine bottles, cans and jars. But because they are small items that cannot be easily manipulated by hand at the recycling depot, they need to be consolidated into a larger item. 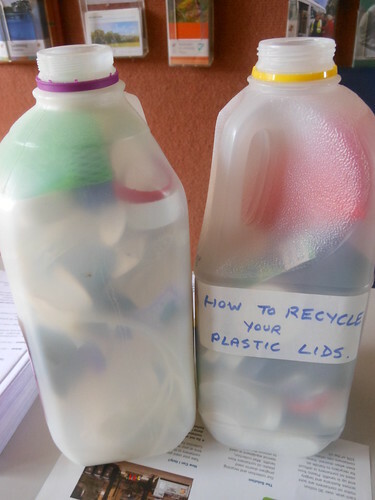 This can be easily done by placing plastic lids and other plastic items including bread tags and onion bags inside a milk container. When full place this in your kerbside recycling bin. 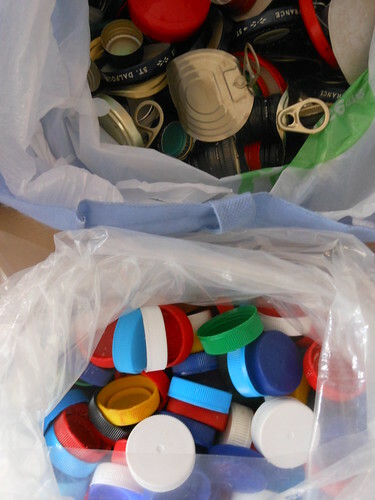 You can also bring your collection of lids, plastic and metal, to the One Planet Market. They will be sorted and added to the recycling stream.